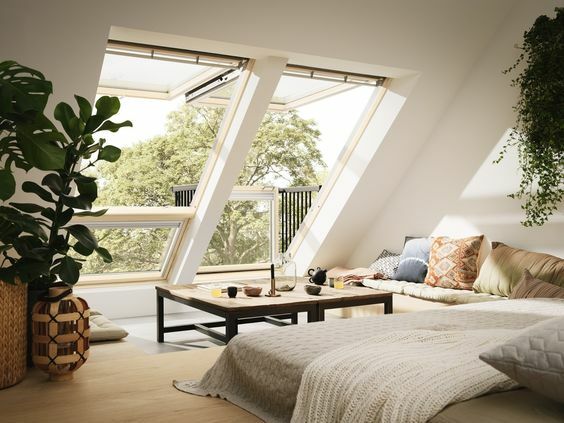 Attic can be turned into any room you want. you will want to turn it into a room that you need the most. 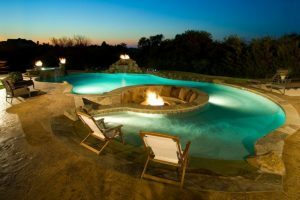 You can turn it into playroom, bathroom, kitchen, bedroom or even the combination of some. 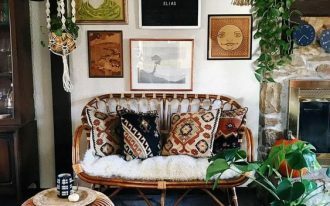 If you want to turn it into a bedroom, these ten adorable and comfortable bedroom will help you find some inspirations you need. 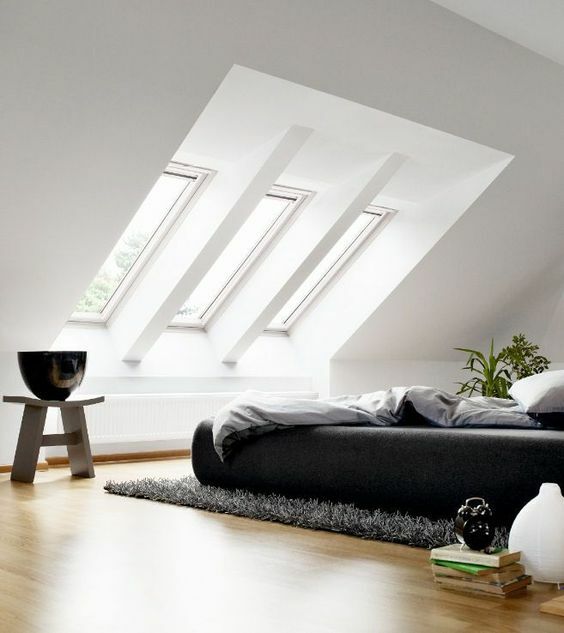 Having an attic bedroom can be a blessing for a house. Added with large glass window, it won’ be a dark and humid room anymore. 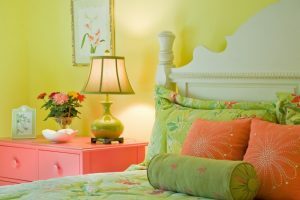 It will be a bright and warm bedroom. Putting study table in front of the window will help you to always feel refresh whenever you work. 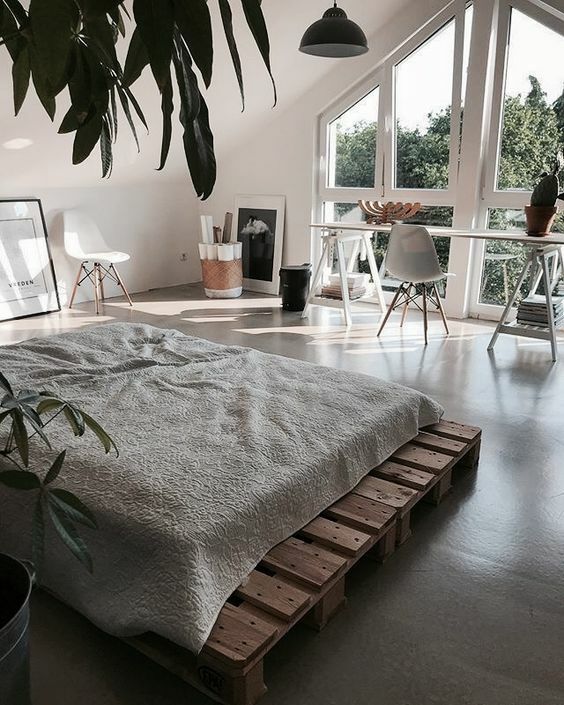 A simple bed with wooden crate platform can be a comfortable place to relax after a day of work. 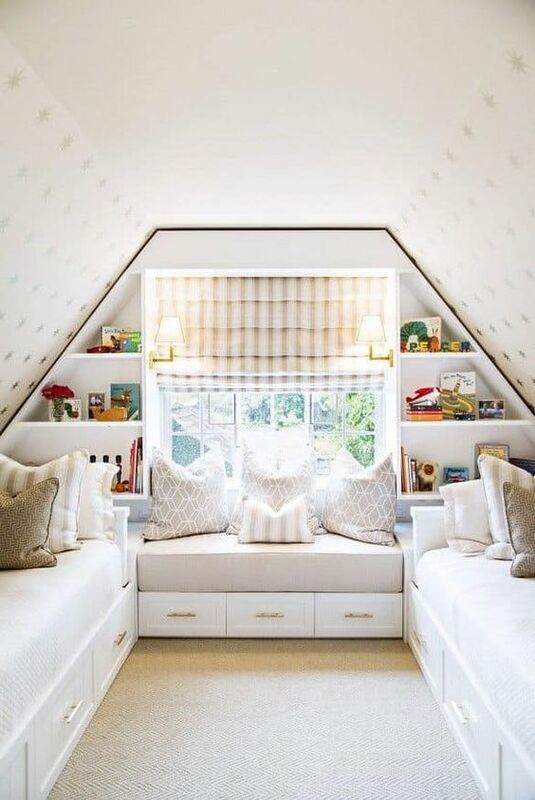 While attic bedroom might be small, you might also want to use it for guests and add one more bed into it. This one here can be a great inspiration. With single beds near the wall, it offers bench near the window with built-in shelves. 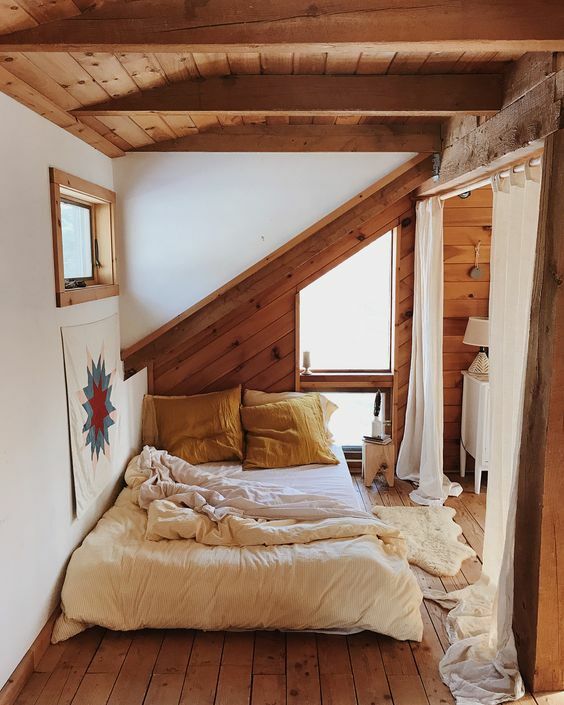 It looks so cozy and bright. Room in the attic has an interesting privilege of having sloping ceiling. And that can open so many possibilities in interior design. 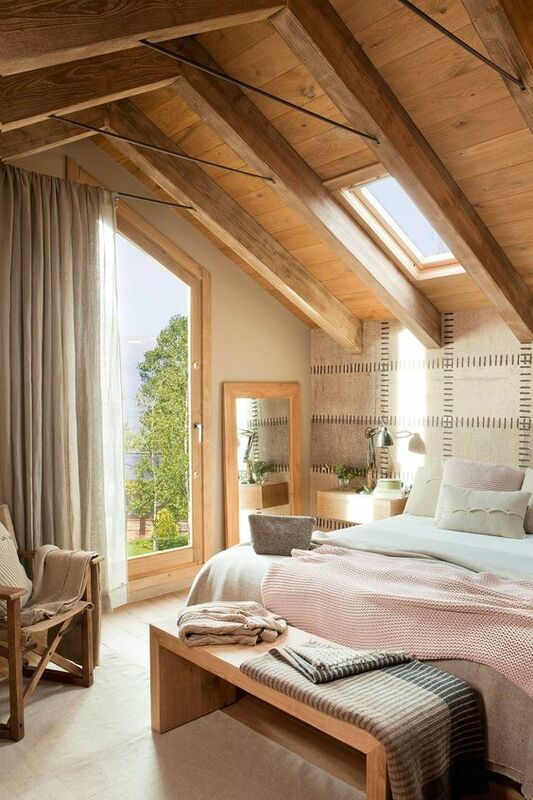 This one here adds large windows in the sloping ceiling that it adds bed under the window. It is a sweet and energizing move. Almost similar, this one here also puts the bed in front of the sloping wall with large glass window. It creates a sweet vibe to the room. 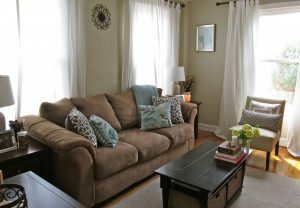 With low wooden table and pillows on the cushion on the floor, this sweet arrangement can also entertain you and your friends. 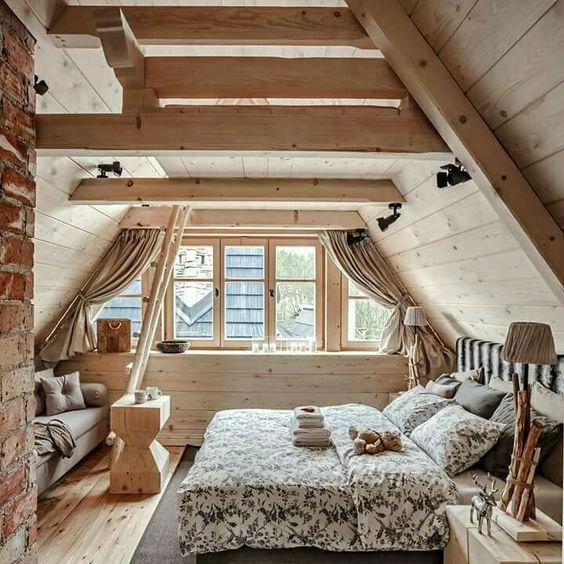 If you’re trying to have more rooms in the attic, this one here shows a practical and easy way to do it. All you have to do is part the bedroom with a white curtain. And the rest of the space can be used for other needs. This one here presents a comfortable look from the attic bedroom. 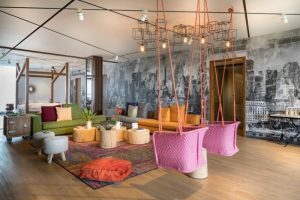 Its wooden ceiling and beam sends warmth feeling to the room that is balanced with neutral wall and bedding. The natural wooden bench and chairs complete the look perfectly. With glass door, this room has the perfect light. 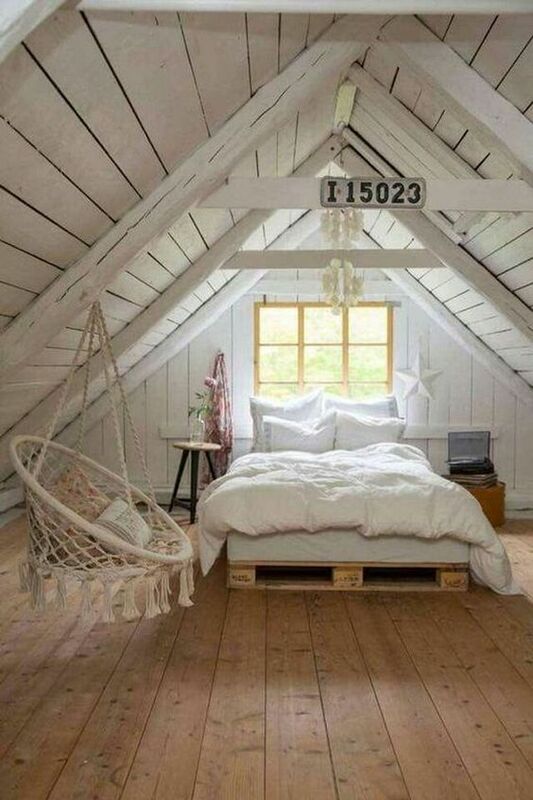 Even the very limited spaced attic like this one can create a comfortable bedroom with simple bed and bohemian swing. 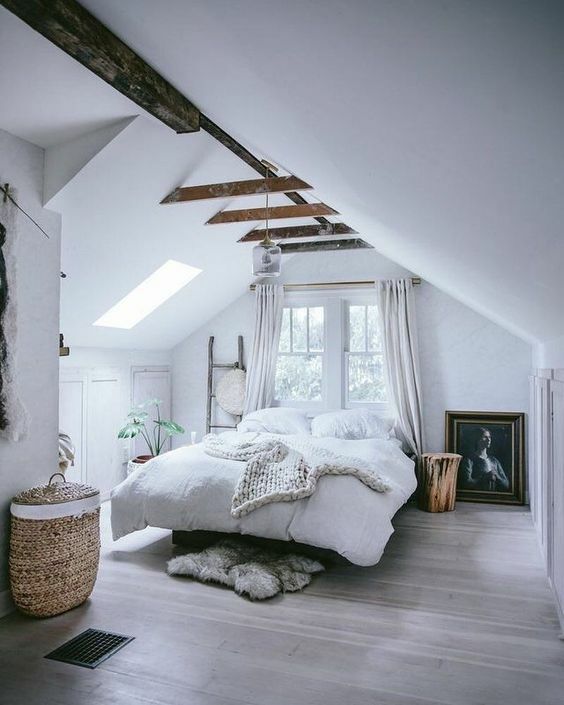 This bedroom here, although located under the ceiling, has a complete package of a bed, cabinet, sofa, and even its own attic that can be accessed with wooden stairs. Similar to the previous one, this one here also has the package deal of a bed, sofa, coffee table, side table, windows, and its small attic too. 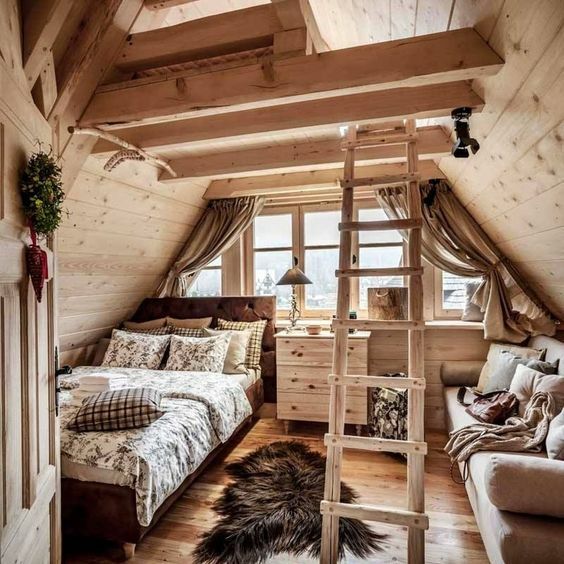 It’s so comfortable you want it for your attic.